In April 2011 an experimental party concept became reality. It was a party where artists where asked to play only tracks released on netlabels. Furthermore the party took place in two cities simultaneously, Weimar and Leipzig in Germany. Those cities were connected via a live audio and video stream so it was possible to let the DJs and live acts play in both cities at the same time. A third location was actually the Internet itself. It was of course also possible to listen to the stream from any computer worldwide. Now this set here was the opening set for the “Connected by netaudio” party but it’s no live recording. The recording is available but hardly releasable due to its bad audio quality. Finally a re-mixed version of the set was created with a slightly modified playlist. It presents some favorable dub techno, minimal and tech house tracks from the recent years. Music that was selected and played for filling the empty dancefloor at the beginning of that special night. And … well … it worked! Big thanks go out to “Auflegware” who made this evening possible and all the nice and fancy people who made that night to something special. Thanks and enjoy the mix! 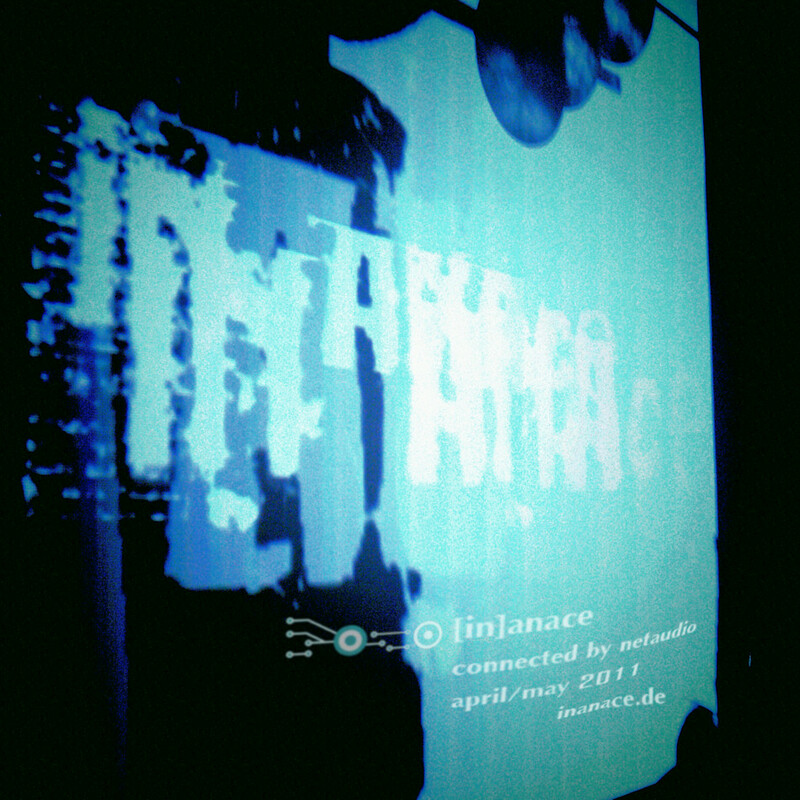 Picture artwork by [in]anace. Photo taken at "Connected by netaudio" party, Weimar. The GEMA, a performance rights organisation in Germany, claims money for this party where only CC music was played. The GEMA has no rights to this music. Have a look at this article for details (in German). 26 May 2011 | Filed under Mixfiles and tagged with dub techno, floormover, minimal, tech house, techno. sehr schön war das. schönes tracklisting. ich war auf der leipziger seite.